Maximize your time in the beautiful city of Cork on an enriching full-day shore excursion to Blarney Castle and other historical highlights. Greet your courteous guide at Cork Harbour and travel through splendid Irish countryside to the ancient structure of Blarney Castle. 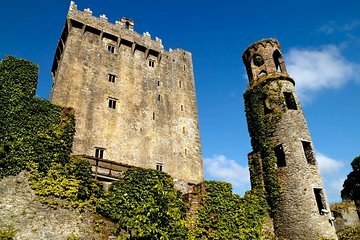 Gain free admission to the 13th-century landmark and kiss the world-renowned Blarney Stone for good luck. 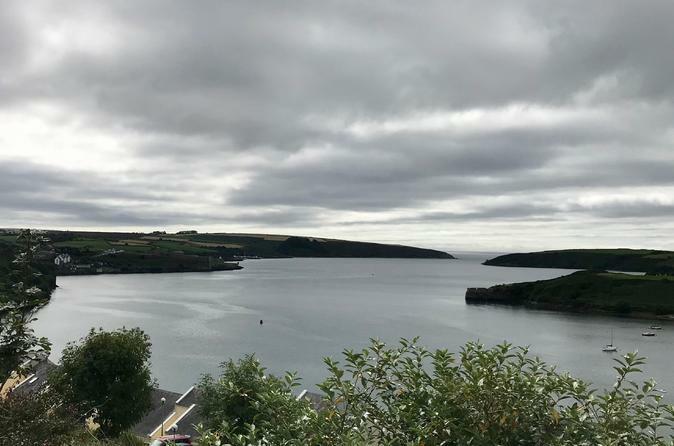 Return to Cork for a panoramic coach tour of the city’s sights; visit the charming town of Kinsale; and make a brief stop in Cobh, famed for being the departure point of the ill-fated Titanic, before returning to Cork Harbour. Highlight of the excursion is kissing of the Blarney Stone inside the Castle and it has been a great experience. What a wonderful day we had on this tour. Our guide Gervis was so knowledgeable about Cork, Blarney Castle and the history of Ireland. This is a great deal for the price with a comfortable bus ride, 9 hours of sites and a great wealth of information. Not only did we see Blarney Castle but we saw the Fort Charles, the quaint town of Kinsale and a tour of the beautiful cathedral in Cork. This is a wonderful deal and well worth the money! Great trip and great driver couldn’t ask for more for the money. Would use Paddywagon again! Got us to Blarney Castle before the cruise ships so I did get to kiss the Blarney Stone in less then a hour wait. We arrived in Cork August 20, 2018 on a cruise ship. As soon as we got off the ship we found our guide waiting with a sign immediately. Great service. As soon as we got everyone we were off. Before I get into the specifics of the places we visited, I wanted to say how much we enjoyed our tour guide. He sang us songs, told great jokes and was also very informative! He was by far the most entertaining guide of our entire 15-day vacation! The first stop of this tour was Kinsale. This is a small little town that had great shops and a very pretty harbor. We walked around and took in the lovely sights and had a nice lunch and had roughly an hour to enjoy everything. Next, we went to Blarney Castle. The castle was very cool but make sure you have enough time if you want to kiss the stone at the top. It took us over an hour and we barely had enough time to do that because we looked at everything else first before going to the castle. I would say that our favorite part of the Castle tour was actually the grounds all around it. The gardens were beautiful, we found a very neat little waterfall in the woods and the lake views were immaculate for a nice photo stop. We saw lots of sheep, horses and birds. Truly a beautiful area. Don't miss exploring everything else here because it's absolutely worth it. On the way back to our cruise ship our guide sang us some more songs and was just overall amazing. We arrived back on time and the entire Paddywagon Day Tour experience was an A! Our driver and tour person was Lee. He was great. Very informative and gave us a lot of history of Ireland that was easy to understand. My friend and I truly enjoyed him. The best tour guide we had on our trip! We booked this excursion before our cruise and in lieu of excursions offered by the cruise line. We've used Viator for cruise excursions and other tours in the past and have been very happy with them. This one was no exception. Gabriel, our tour guide, made the trip very fun. He was knowledgeable about Irish history and the sites we were going to see. His bubbly and outgoing personality made the trip lots of fun. He even sang a couple of Irish songs for us! He allowed plenty of time in each location while still keeping us on schedule. I would highly recommend Viator and Gabriel to anyone looking for an excursion to Cork, Ireland. The tour covered too much area and we didn't have enough time to really explore the sights. My own fault, I should have realized that, but I didn't know just how far apart everything was, and how long it took to get there and back. The time spent at each location should be reflected on the tour description. We really enjoyed PaddyWagon Tours.....the driver/guide was exceptional and he actually sang many Irish songs along the tour. Blarney Castle had a long line to kiss the stone but we waited in line for 2 hours to reach the top and kiss the stone. It didn't allow us any time to visit the gardens, etc. Eating at Kitty O'Shea's in Kinsale was so much fun and delicious! Great tour!! Absolutely endorse using Paddywagon Tours. Good bus and fabulous tour guide (Gabriel). Wonderful, fun day. Lots of super information in a great, humorous manner. Will definitely use Paddywagon again next trip to Ireland. Our experience much better than groups using Princess ship tours or other local agencies. Gabriel was actually both driver and guide AND was best we’ve encountered anywhere.